It‘s a fact that parents‘ love for their children is endless. There are many ways to show it, and this Japanese dad chose a really creative one. Takafumi Ozeki is a comedian better known as The Geese, but most importantly he‘s an awesome father. 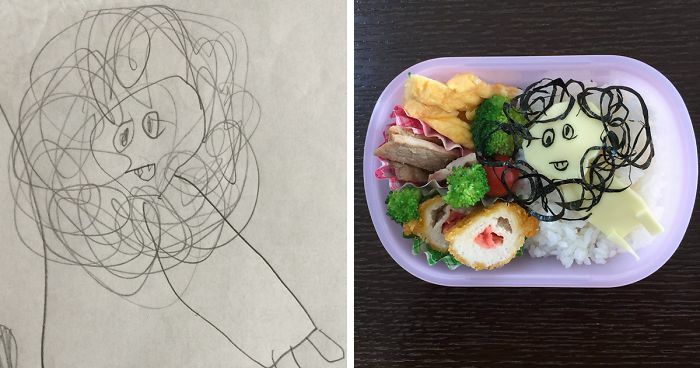 He doesn‘t just make lunch for his daughter every day so she could take it with her to pre-school, he makes it based on her drawings. He started with kyara-ben (which means "character bento") where he used to create his daughter‘s favorite TV characters or animals, but after she asked to turn her recently finished drawing into a bento box, he just couldn‘t resist. This is how it all started, and the result is pretty adorable. 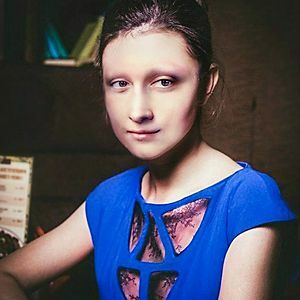 Scroll down to see it for yourself! For some weird reason my mind sees both a Cheetah and a Frog. Can we get a translation plz? At least it's not bored. My tiffin is so very boring.. can't even be compared. All of these are fabulous! it is a llama sheep yess!!!!! Fish and a fishings rod 🎏? What is this white part above the seaweed? This brings the question, ”what do you want for your lunch?” to a whole new level. What is even more amazing is that this is done by her Dad! (At least I get the strong impression that) Men in Japan rarely venture into the kitchen.